It is a developmental process of assessment which emphasizes on two fold objectives. These objectives are continuity in evaluation and assessment of broad based learning and behavioural outcomes on the other. 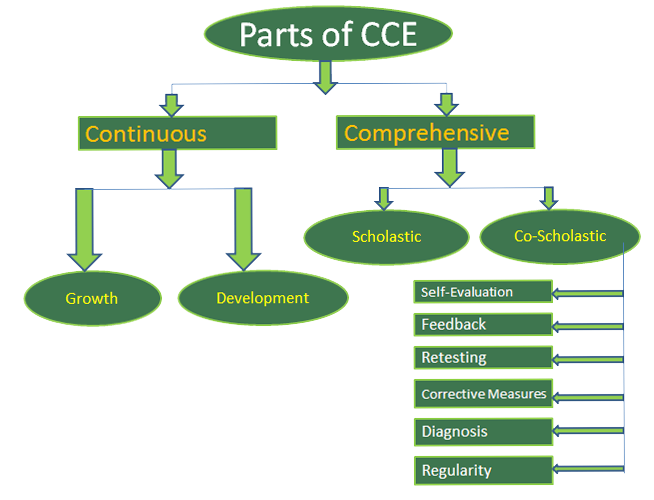 CCE aims at making children capable of becoming responsible, productive and useful members of society. Knowledge, skills and attitudes are built through learning experiences and opportunities created for learners in school. It is in the classroom that learners can analyze and evaluate their experiences,learn to doubt, to question, to investigate and to think independently.